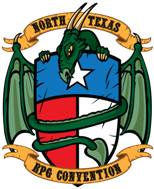 This Wednesday, I head to my third North Texas RPG con. I first heard of the con back in 2011. I think there was a flyer for it at my FLGS. (Gen-x in Bedford, TX) I wanted to attend, but my daughter had been born in April and I couldn't manage it. In 2012, I stopped by on Saturday and looked around. The convention was so cool I vowed to come back next year for the whole weekend. Every year the con inspires me to do something new. In 2013, I found Swords and Wizardry and haven't looked back since. In 2014, I re-discovered my love of DCC and post-apocalypse games, which inspired me to start this blog. This year I'm taking the plunge and running a game at the convention. Here's my schedule for this year, if you see me, flag me down and say hi! Wednesday night - Hanging out in the bar and maybe some open gaming. Thursday Evening - DCC with +Michael Curtis. Friday Morning - DCC with +Edgar Johnson. Friday Night - AD&D with +Allan Grohe. Saturday Night - AD&D with +Jon Hershberger. Sunday Morning - The Strange RPG. I want to try out the Cypher system. Here are the winners of the Rappan Athuk and Stoneheart valley giveaway! +Erik Jensen You won Rappan Athuk! +Si W You won Stoneheart Valley! Please PM on G+ or send an email to rymoore AT channel-zeroDOTnet with your address and I'll try and get them in the mail this week. "Sword of Air arrived in our driveway on Thursday and we immediately started the frenzy of shipping our the Kickstarter orders. Unfortunately for us, but fortunately for you, I didn’t remember/realize/organize about the people to whom we’d already sent addons! So … a good bulky package will arrive to you soon and you will have duplicate copies of everything we sent you already from this Kickstarter. 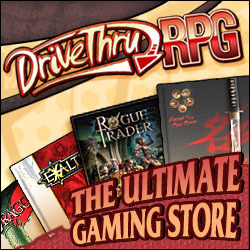 Please give to your friends or donate to local game store with our blessings! We want our books out in the game community." So you know what that means? I have Rappan Athuk and Stoneheart valley hardbacks to give away! Post comment below sometime between now and 3pm CST Sunday the 24th to enter in the giveaway. 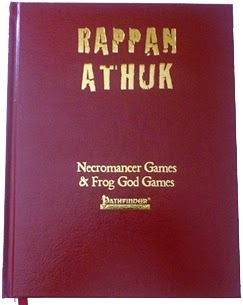 Unfortunately, the Rappan Athuk book is so large I can't afford to ship it international. The Rappan Athuk book is limited to US entires. Stoneheart valley is open to everyone though. If you are from outside the US, say so in the comments and I'll enter you in the Stoneheart Valley drawing. Oh and while you're here. Go check out Frog God Games latest kickstarter: Cults of the Sundered Kingdoms! 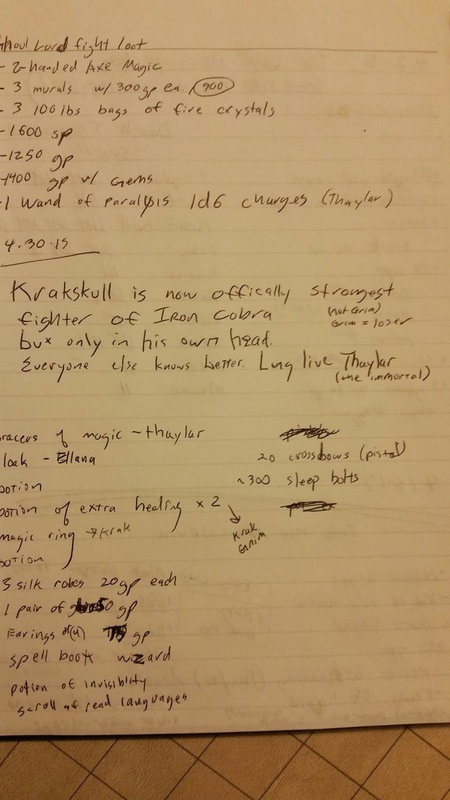 Back when I ran D&D 3.0 I came up with all kinds of crazy ways to keep track of initiative. I clipped names to my DM screen. I wrote names on note cards and then shuffled them into initiative order. That way worked pretty well truthfully, but was too much work. I eventually settled on writing the names down on a pad and calling out whose turn it was. Sometimes the players would complain that I was skipping them. I'm sure I was, there's a lot going on when you DM. The ultimate solution was that I made the players keep track of their own initiative. I gave them then pad and told them to take turns keeping track. Whoever had the pad that night got a +1 bonus to their initiative. The players deemed it "The Pad of Initiative." This method had its good and bad points. I didn't have to keep track of initiative anymore, but the players were pretty terrible at keeping track of whose turn it was. In any case, we continued through both D&D 3.X campaigns and even our 5 year D&D 4.0 campaign with this method. The Pad of Initiative also become the loot list at some point, since it was a pad of paper and it was right there. Now we play Swords and Wizardry and no one needs to keep track of initiative. (Yeah Sword and Wizardry!) The pad is still around. Now it's simply the loot list. After the last session I glanced at it and had to take a picture of this little gem. In case you can't read it, there in the middle it says "Krakskull is now officially the strongest fighter of Iron Cobra (not Grim, Grim = Loser) but only in his own head. Everyone else knows better. Long live Thaylar (the immortal.)" Krakskull is the Dwarven Fighter/Cleric. Thaylar is the Magic-User. Grimm is the NPC fighter they hired, and Iron Cobra is what the group calls themselves.